Green Valley Rifle and Pistol Club in Columbia, MO to host the Championship May 21-24. FAIRFAX, VA.--More than 150 of the world's top marksmen are expected to take part in the 25th NRA National Action Pistol Championship--often called the NRA Bianchi Cup--May 21st to 24th at the Green Valley Rifle and Pistol Club in Columbia, MO. Representing the United States and 10 foreign countries, these competitors will vie for cash awards, plus the National Champion's trophy and championship ring. Tournament founder John E. Bianchi is expected to attend this year's anniversary celebration, and Tom Campbell, former Smith & Wesson exhibition shooter and the only person to have participated in all 24 Bianchi Cup tournaments, will fire the opening shot and compete in this year's match as well. Among the competitors expected to return this year is defending National Champion Doug Koenig. Koenig, a six-time winner of the Bianchi Cup, was the first competitor to fire a perfect 1920-point score. Joining Koenig in the quest for this year's title will be Californians Mickey Fowler and retired LAPD Detective John Pride. Both are four time Bianchi Cup champions, and Pride set the current championship scoring record (a perfect 1920, plus 185 tie-breaking hits called X's--since tied on two occasions) in 1995. Defending Woman Champion Vera Koo will also return to defend her title. Action pistol differs from conventional bullseye shooting in a number of ways, several of which make the match appealing to spectators. 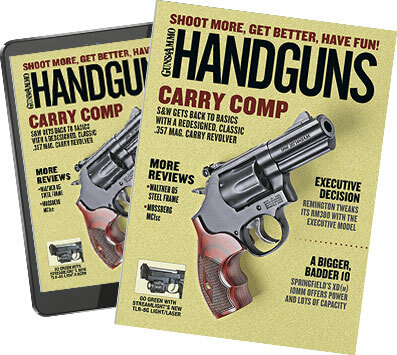 For example, time limits in which to shoot are much shorter in Action Shooting, and competitors must start with the gun holstered instead of in hand. In some matches, participants must fire at moving targets, knock down steel plates, or even use their "weak" hand to shoot. The rewards for this demanding form of shooting are substantial. In addition to a cash purse for the National Champion, there are monetary awards and prizes to the winners in six classes, based on shooter' average score, and 14 special award categories including women, juniors, and seniors as well as categories based on equipment used such as revolvers or semi-auto pistols, and vocation such as high-scoring lawman or member of the armed forces. A special title is awarded to the high-scoring competitor equipped with a pistol that is described by the rules as being "stock."